Hi everyone! Today I have a Kleancolor swatch to share with you. 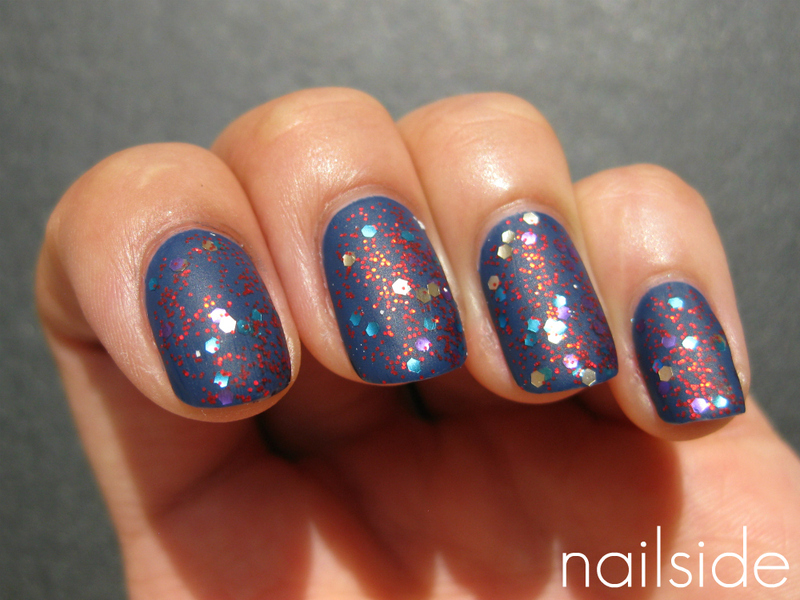 This glitter bomb is Party Fever, over one coat of China Glaze First Mate. Party fever consists of silver, aqua blue and purple hexagons, together with small red glitter in a clear base. 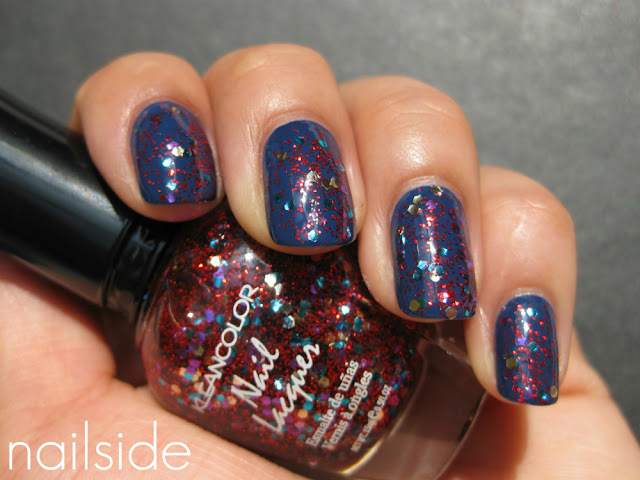 It's the ideal chunky glitter topper, the glitters are dense enough to cover evenly in one coat, but not too dense so you can still see the base color underneath. And above that, the blend of colors and different sizes is very unique to me, you don't find a lot of glitters like these in the Netherlands! I really like it and it's also gorgeous with a layer of matt topcoat. Thanks for reading! I really like the matted out version, it's gorgeous! Great combo, I may have to try matte sometime. I like the matte one! Very cool! Ik vind de matte versie het mooist! Awwwe, I'm craving glitter! Really like the Kleancolor polishes. Nice combo, I like the matte version best. I love it with the matte topcoat, gives such a pretty effect. That's amazing! I like it mattified! While it is very pretty shiny, I love it more matted! Thanks everyone!! Seems like most people like it better mattified like me haha. Hello! I love your matte nail finish. What brand are you using? @Andrea: It's from Essence. But sadly I heard it will be discontinued, so it's going to be hard to find soon :( Maybe I'll try out the one from China Glaze then. Thanks for your answer! Yeah, I was thinking either the CG one or Essie, since I've heard good things about the last one.